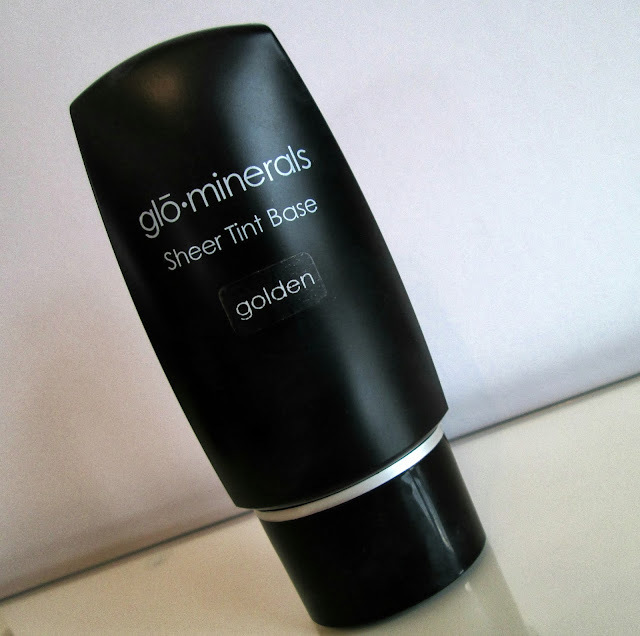 Recently I was contacted by Glo Minerals to see if I wanted to test out a range of their products. As they're a new brand that have launched in the UK I was excited to try a selection of their products. Glo Minerals are a brand that use only pure grade minerals and anti oxidants in their products and base their range on the following criteria - Pharmaceutical grade ingredients - Talc free - Exclude Dyes and Parabens - Perfume free - Antioxidant blend of vitamins A,C,E and green tea - Micronised triple milled to lay smoother on the skin - Protect and improve the condition of the skin - Anti- inflammatory - Anti-bacterial - Anti-Ageing - Broad Spectrum UVA and UVB protection. Sheer Tint Base is a light coverage liquid that helps to conceal, correct and even out your skin tone. It has buildable coverage that allows you to easily add more in certain areas without it becoming obvious or cakey. This can be used with a primer, concealer, foundation and powder as it's main feature is to naturally even out your skin tone. My first impressions were that it may be a little to light for any real coverage and thought it may just add another 'layer' to my face but as I tried and tested it in different ways I was certainly proved wrong. Using this on prepped skin it toned down the redness I have in my cheeks and hyperpigmentation on my chin and gave a subtle light coverage. It didn't completely camouflage these areas but bases and foundations are not meant for this purpose in my opinion, that is the job of a concealer. I added a little powder to my t-zone to see how this worked on it's own and I liked how subtle and natural it looked without looking like I had a full face of makeup. I also tried Sheer Tint Base with a foundation and concealer, I found that the base tends to give your foundation and concealer a 'helping hand' as it's already helped to conceal imperfections without any cakey feeling. 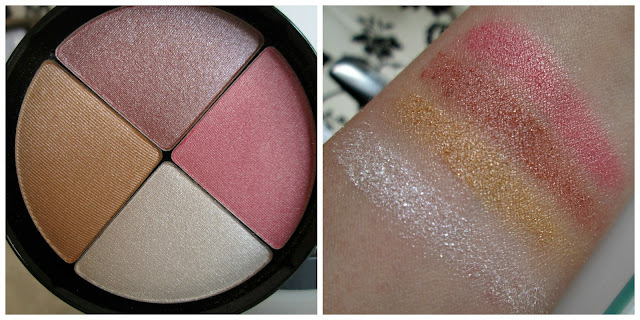 Glo Minerals Shimmer Brick is a cute, compact product that offers you four highlighter colours in one. To use this you can swirl your brush around all four pans to create an ultimate glow or use each colour individually to highlight. Using all four shades is great for a very highlighted look. Personally, I like to use these shades individually to really make the most of the colours. All four colours are pigmented and creamy, blend well and work with using the smallest amount. Blue Suede is a dark navy matte eye shadow. Navy is an unusual coloured eye shadow and a welcome change to black. Blue Suede feels feels creamy in the pan but is not as pigmented as Orchid. It is a very buildable colour so it an be used as subtly or as dramatic as you want and can create a nice twist to the traditional black smokey eye. Orchid is a creamy shimmery coppery colour that gives a gorgeous wash of colour with a brush stroke. 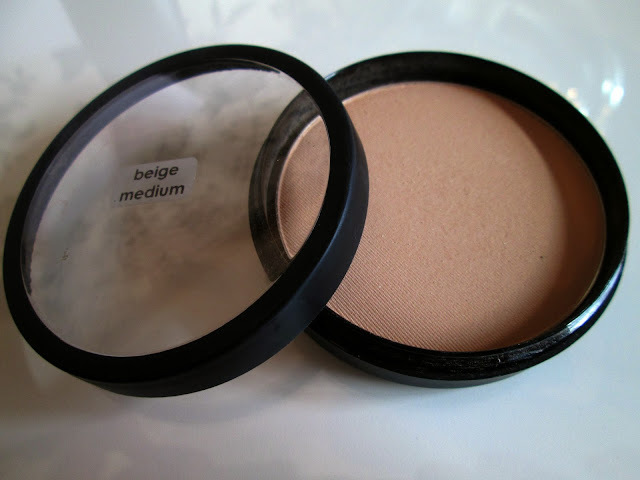 It's a very pretty colour with great pigmentation that can be used for neutral or dramatic eye looks. This product is one of my favourite from all that I have tried. Glo Minerals Pressed Base is a natural finish powder that can provide light to full coverage. In my experiences a lot of powders are great for mattifying the skin but lack the coverage to use alone, especially areas I have that have hyperpigmentation. I used this product alone under my eyes as I have dark circles and it completely covered the discoloration and left a smooth finish without setting in to fine lines, this is something I have to prevent a lot when using creams. Buffing Pressed Base over my entire skin (on my face, not my body haha) created a soft, natural look that evened out my skin tone without too much fuss. I've completely disregarded powder foundation in the past but I am now going to include it more as I find it's brilliant for natural makeup days. When I first received this box of goodies I assumed this was going to be the product I wasn't going to be overly impressed by. In the tube the lip tint looks very sheer and glossy and as a lover of bold colours I was expecting this to be a glorified tinted lip balm but I was pleasantly surprised. Glo Minerals Lip Tint is a soft, subtle red gloss that ever so slightly tints your lips for a subtle wash of colour. The great thing about this product is the ease of use, a little goes a long way and it's easy to build up more colour without needing other products. It has a great lasting power but doesn't stay in place when eating and drinking. That aside, this lip tint will last a few hours without needing constant touch ups and will not spread over your teeth or face (we've all been there haha). Glo Minerals Precise Micro Eyeliner is the perfect hybrid of a soft creamy pencil and a stiff pencil used for clean lines or eyebrows. This eyeliner is soft enough to use on the water line and lash line with ease yet doesn't smudge like some of the creamier pencils. What I love about this eyeliner is that you can really get creative as well as being a great base for black eyeshadow. Ambrosia Rose Micro Lip Liner has the wow factor for me, the colour pay off is excellent and it 100% stays true to it's colour when on the lips. 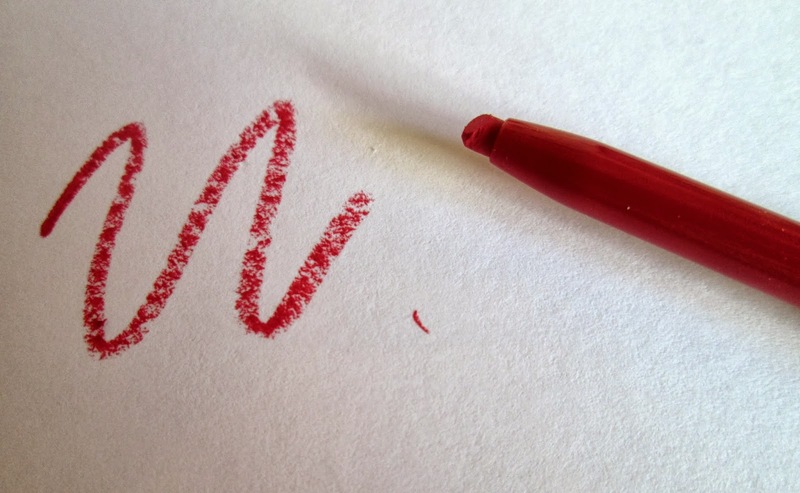 As it's micro, like the eye liner, it has the ability to create a very precise line. This is something that is important to me with lip liners because if they're too creamy, I find they easily transfer and defeat the purpose of using one. The formula is creamy enough not to dry out the lips but stays in place regardless if you're wearing them alone or with a lipstick and gloss. I love these lip liners and I will certainly be having a look at the other colours Glo Minerals have to offer. 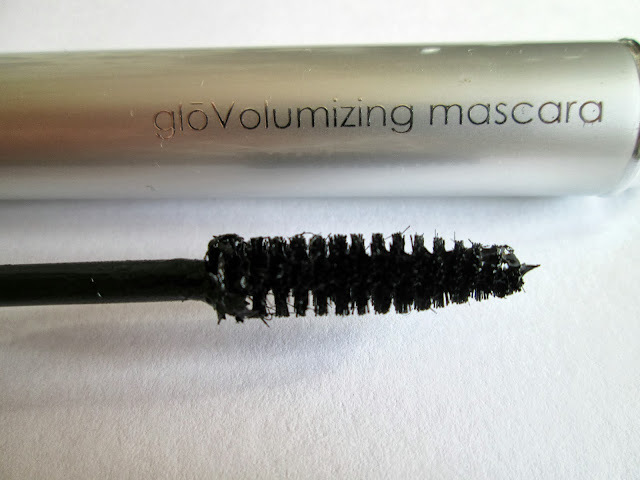 Glo Minerals Volumizing Mascara is a product I'm undecided about. Normally, to create volume, mascaras have a large, thick brush but the brush on this product is small and slim. In terms of creating volume, unfortunately, for me this did not deliver. I have short, straight, stubby lashes that need oompft when it comes to mascara so this wasn't the best product for me. The reason why I'm undecided on this mascara is that it's great for lengthening. 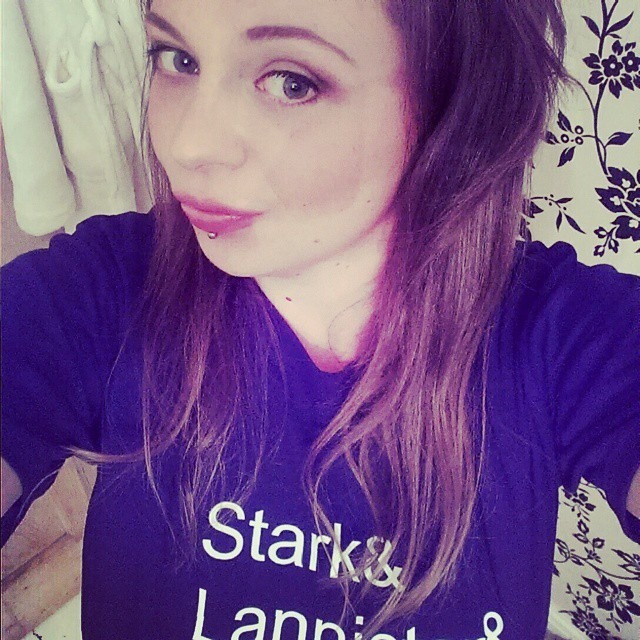 Although this didn't do much for the volume of my lashes it made them look really long and really held the curl. I think this mascara is great for anyone with short lashes or anyone who likes the long lash look but if you're more a lover of volume, I'd try one of their other mascaras. The colours in the shimmer brick are gorgeous!